← Runnells, Iowa. June 13th, 2013. Cape Girardeau, Missouri. June 13th, 2013. 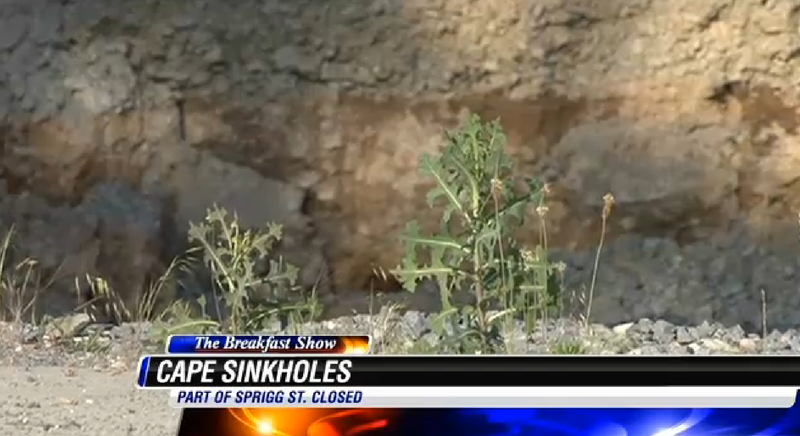 Sinkholes have been in the news a lot over the past few months. There was the man who died in Florida after his home was swallowed by a sinkhole. A golfer in St. Louis fell into one on the course. 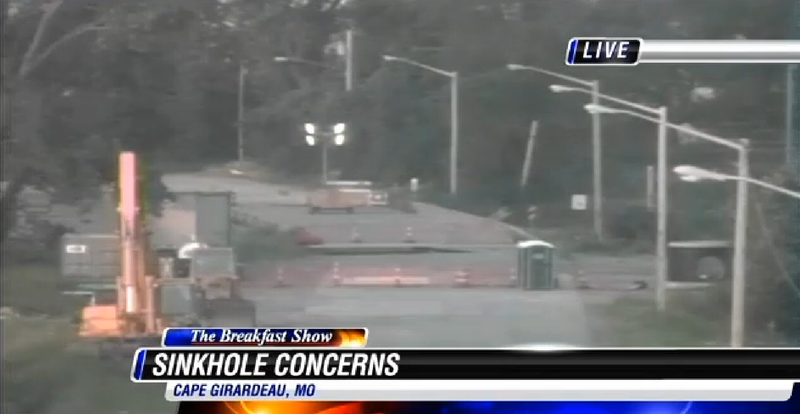 In the Heartland, Cairo, Illinois has been dealing with sinkholes, and now so is Cape Girardeau. Part of South Sprigg is still closed at La Cruz Street, and it probably will be for quite a while. 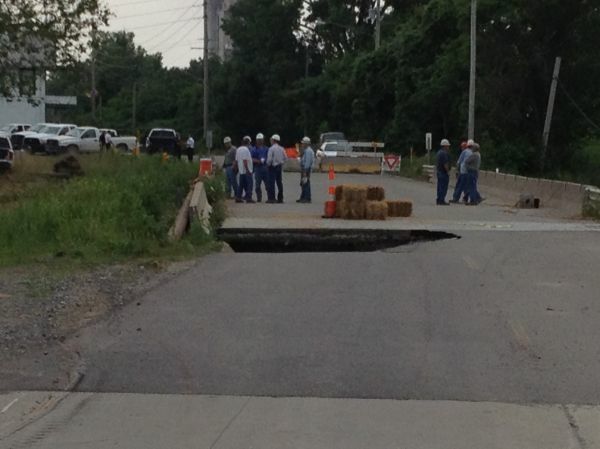 Two very large sinkholes are swallowing up part of South Sprigg. Moreover, these sinkholes are big. One is about 15 feet deep and the other is about eight feet deep. 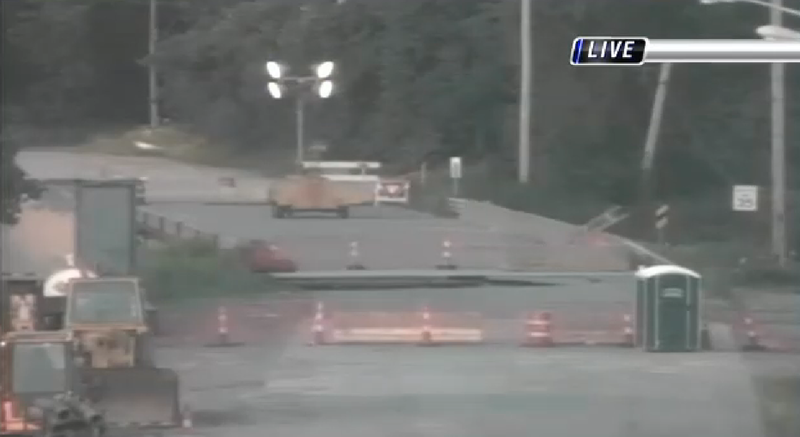 One of the sinkholes just collapsed last week, and crews are working to stop a whirlpool just under a nearby bridge. The manager of the quarry here says the water started flowing into the quarry recently and thinks the problems could be connected. Sinkholes are a problem we see a lot more frequently when there is flooding in the region, so the high levels on the Mississippi River aren’t helping the problem at all. The South Sprigg Road closure could become permanent if the city can’t find a good fix. 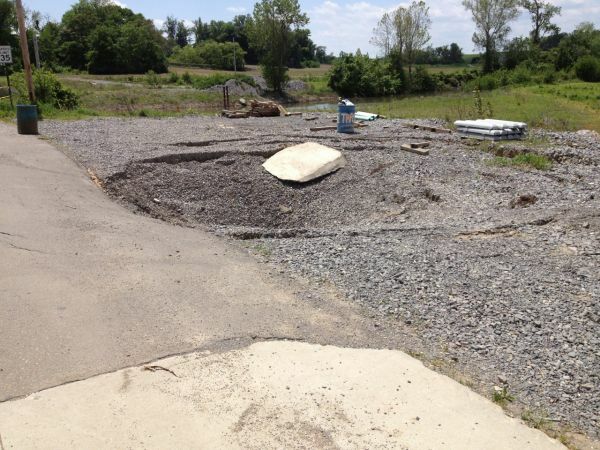 This entry was posted in Pictures and tagged Missouri, sinkholes. Bookmark the permalink. 3 Responses to Cape Girardeau, Missouri. June 13th, 2013.